The brainchild and labor of love of founder and director, Corinne Nicolas, The Model CoOp synergizes the traditional aspects of managing models’ careers while embracing, encouraging and harnessing a model’s other interests, passions, entrepreneurial ideas and natural talents and channels them into creative and innovative career expansions. Nicolas is a respected, talented and trusted veteran of the modeling industry. Having started her career in 1986 at the renowned Elite Model Management agency in New York, she honed her expertise under the tutelage of Elite’s founder, John Casablancas. It was Casablancas who hand-picked Nicolas to open and run Elite Miami in 1991, capitalizing on the burgeoning Miami fashion scene. Under her direction and leadership, Elite Miami became a driving force in the city’s modeling industry and helped to shape the high standards that remain to this day. Elite Miami also scouted, nurtured and groomed many local and foreign talent that went on to achieve triumphant careers in New York, Paris and beyond. During her tenure there, Nicolas weathered some big storms (literally) and came out thriving on top. Even 1992’s devastating Hurricane Andrew did not deter the growth and success of Elite Miami. With that accomplishment under her belt, Casablancas brought Nicolas back to Elite New York a few years later to run the agency’s illustrious Elite Board, which housed some of the most in-demand and prestigious faces in fashion: Cindy Crawford, Linda Evangelista, Naomi Campbell, Paulina Porizkova, Yasmin LeBon, Isabella Rossellini, Tatjana Patitz, Stephanie Seymour, Claudia Schiffer, Daniella Pestova…and the list goes on ad nauseam. Working with and managing the careers of some of the biggest names in the modeling world, Nicolas recalls how those women saw this business as just that, a business, and strived to grow their brands and expand their already successful careers. As with any industry, the modeling world is no stranger to an ever-changing and evolving shift in tastes, styles, and demand. In today’s social media-fueled and online presence-driven climate, there’s an onslaught of influencers from all walks of life, and all manners of race, body type, age, and gender association making instrumental and important waves in an industry that is constantly seeking change and the next new, big thing. Keeping that in mind, Nicolas and The Model CoOp believe that the “new” new would do well to learn and grow from the experienced and learned: models who’ve had great careers and still have great careers, but alongside other life accomplishments, goals and interests for an even more flourishing future. 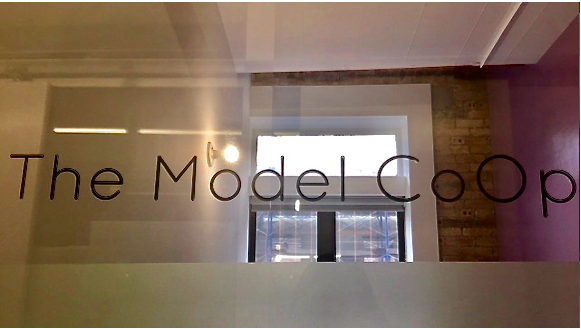 The Model CoOp’s philosophy and mission is not simply management, but to be collaborative with its talent. To be a cooperative with them. Hence, the name. Nicolas brings with her an unbridled love and respect for the modeling industry and for her talent and welcomes their ideas for thinking outside the box in their careers. These women are mothers, fashion stylists, racehorse breeders, restaurant owners, interior designers, beauty and nutrition aficionados, motivational speakers; etc. Their modeling careers opened doors for them and gave them some financial freedom to pursue other interests. With a roster that includes such Elite alum as Paulina Porizkova, Claudia Mason, Yasmin LeBon, Eugenia Silva and Ingrid Seynhaeve, among others, Nicolas has come full circle with her Elite days and the future is as bright as today’s age of women empowerment, where age doesn’t matter. Life does.